It’s back. 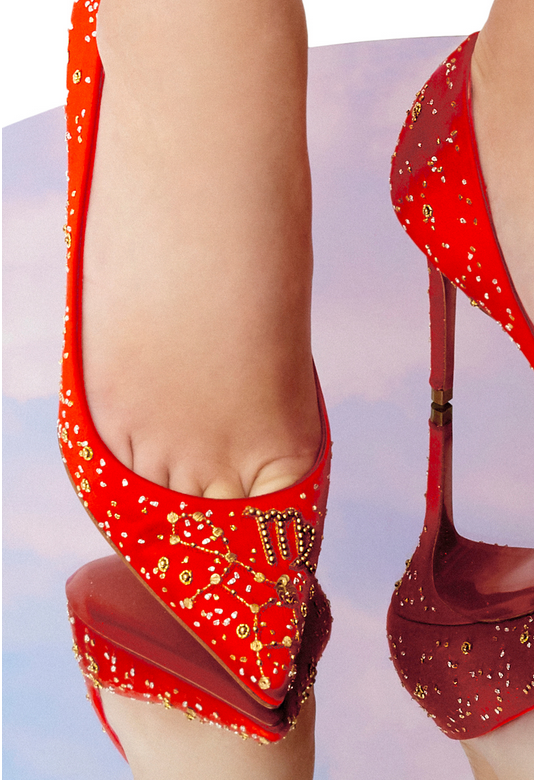 In what is becoming a beloved Moda tradition, the legendary Christian Louboutin has designed new versions of his sell-out zodiac shoes, each entirely handmade in his Paris atelier and exclusive to Moda. The latest spotlights three stunning shades of Italian satin—scarlet, blush pink and black—embroidered with your zodiac constellation, found across a chic pointy-toed flat, Décolleté pump and sky-high Akenana mule. Secure your pair now: only 50 shoes will ever be made—and each can be monogrammed with your initials and birthdate. This limited edition M'O Exclusive: Christian Louboutin mule is rendered in satin and features an intricate embroidered detail and minimalist silhouette. 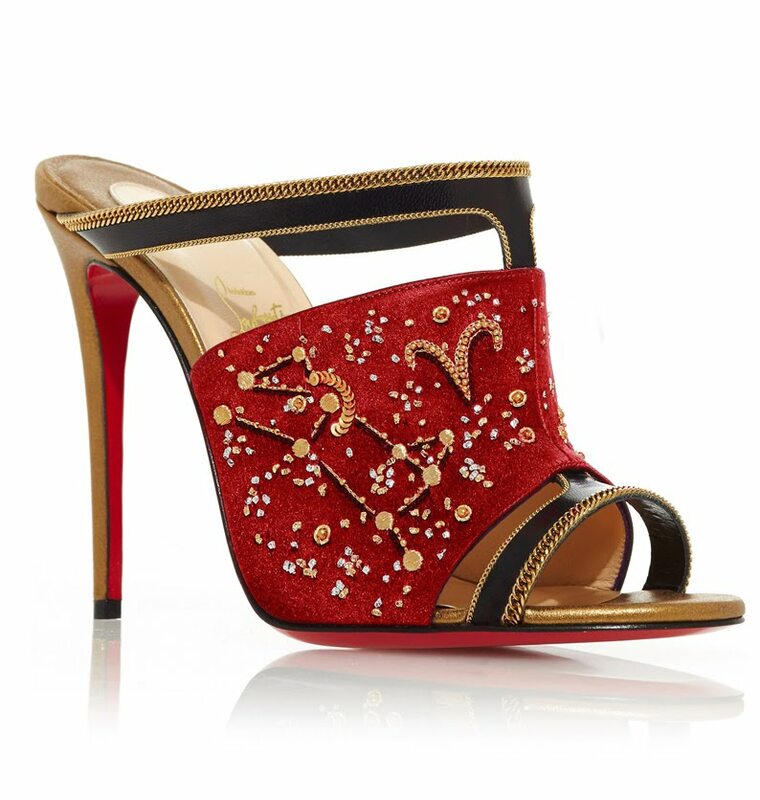 Each mule has been carefully hand constructed in Mr. Louboutin's atelier in Paris and features a smooth satin body, embroidered with your zodiac symbol and constellation meticulously executed in gold and silver thread. Make it personal by adding your initials and date of birth to the external top corner. This limited edition M'O Exclusive: Christian Louboutin flat is rendered in satin and features an intricate embroidered detail and minimalist silhouette. 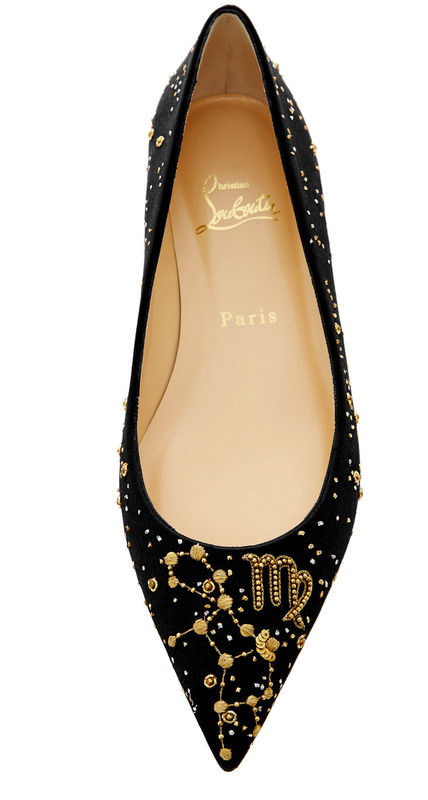 Each ballerina flat has been carefully hand constructed in Mr. Louboutin's atelier in Paris and features a smooth satin body, embroidered with your zodiac symbol and constellation meticulously executed in gold and silver thread. Make it personal by adding your initials and date of birth to the external top corner.